Metrowest Prosthodontics offers Invisalign in Framingham, MA and the surrounding area. Invisalign has been the clear alternative to braces since 1997. Everyone wants a straight smile but did you know that Invisalign is not just for aesthetic purposes. More adults are now choosing to have Invisalign treatment to help correct numerous bite related oral health issues surfacing as we age. Malocclusion (misaligned teeth) can affect your overall health. This condition can lead to periodontal issues, and put undue forces on your teeth. Untreated, overtime malocclusion can also cause chipping, notching, recession, broken teeth and TMJ issues. A correct bite can also help avoid future dental problems. Metrowest Prosthodontics offers Invisalign, utilizing the State of the Art ITERO Scanner. At your initial appointment, we will scan your teeth eliminating any need for impressions, and show you the virtual 3-D modeling of your treatment outcome before you leave. In addition to the scanner, we also offer Propel which is an accelerated treatment that can shorten your time in your aligners in some cases by one half. Wearing Invisalign aligners will gradually and gently move your teeth and shift them into place based on precise measurements made from the scan. 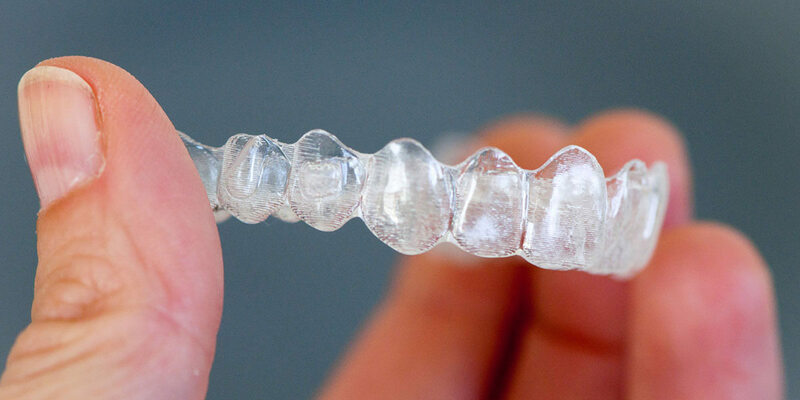 The aligners are made of clear plastic, smooth, comfortable and nearly invisible. They are also removable, allowing you to brush and floss your teeth as normal, and consume foods that are off-limits with braces. The end result is “a beautiful smile’’ and more importantly a proper occlusion. To learn more about Invisalign, schedule your ‘No charge’ consultation with Metrowest Prosthodontics at 508-620-6622 today.